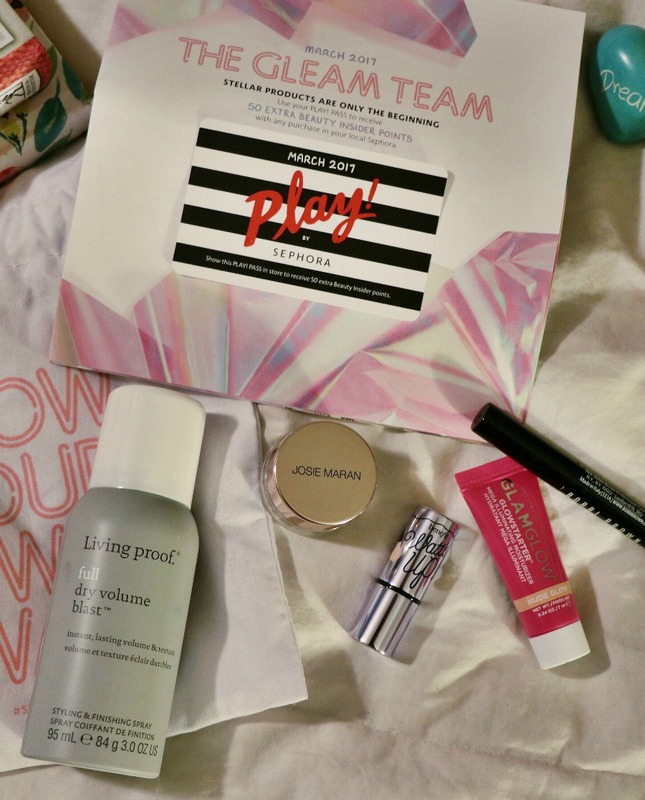 Peek Inside the March Play by Sephora Box! Take a peek inside my March Sephora Play Box! This month, Sephora chose hair and beauty products perfect for ushering in the spring season. Hello, dreamers! I hope you’re having a wonderful week thus far. 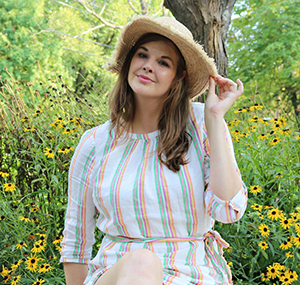 It seems kind of crazy to be writing about spring when many of us are being blasted by cold air and snow this week, but daylight savings time was over the weekend and that means I’m full on embracing spring. Good news? 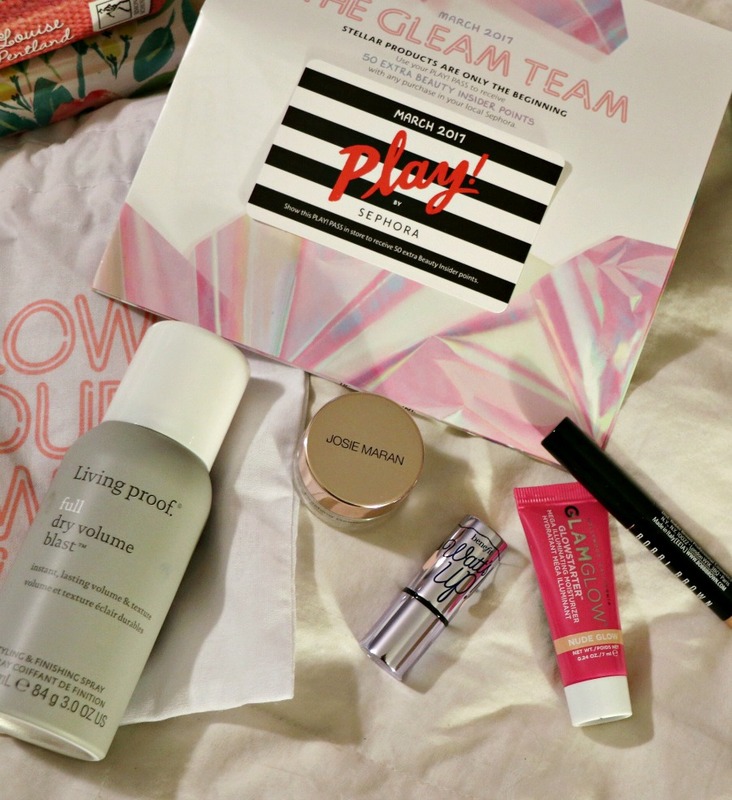 The March Play by Sephora box featured an assortment of beauty bits to spruce up my beauty routine for spring. If you’re not aware, Sephora launched their own monthly beauty subscription service last year and each month they deliver 5 beauty products to my doorstep. When I first enrolled in the service I was skeptical, having tried and canceled both Birthbox and Ipsy before. But, I have to admit Sephora has done a really nice job of delivering deluxe samples of skin, hair and makeup products that I actually use! Particularly the hair. I’ve discovered so many outstanding hair masks through Sephora Play and in the March box they gifted subscribers a pretty hefty sample of Living Proof’s Dry Volume Blast. Thank you, indeed. One thing I love about Living Proof hair products is how lightweight their products are on your hair. They definitely don’t weigh anything down, which is a must for my fine hair that simply loves to fall flat. 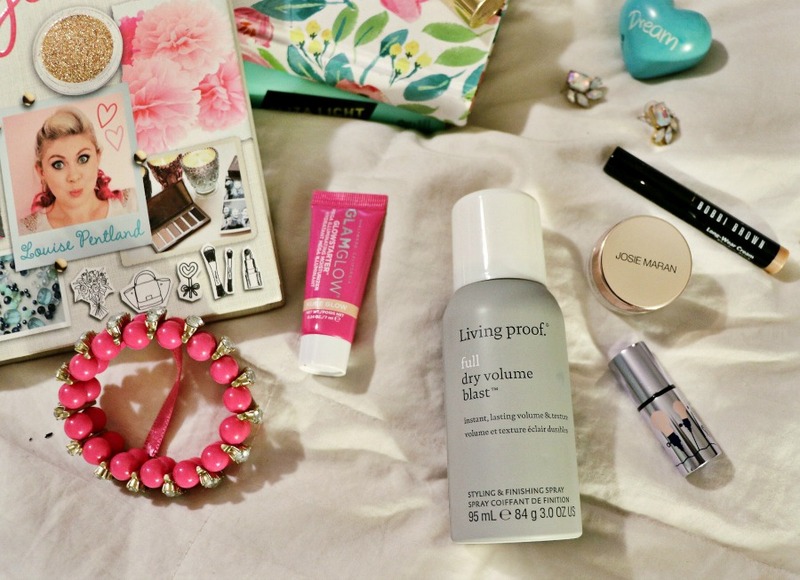 I love using the Living Proof dry shampoo as an on-the-fly volumizer and have high hopes for the Volume Blast. One thing I absolutely love? Argan oil. I use it all the time in my hair and on cotton pads to easily remove eye makeup. If you’re worried about Argan oil price, don’t be, it’s so affordable! When my skin gets really dry, I even use it as a moisturizer and on my hands because it works wonders on my cuticles. So, no doubt I was excited that the March Sephora Play box includes an argan moisturizer and primer, all in one. Josie Marran is a skincare name I’ve heard often, but never gotten around to trying. Definitely excited to put this to the test! Another product I have heard so many great things about but never actually tried: Benefit’s Watts Up highlighter. Now that it’s springtime, you can bet I’ll be more heavily turning to highlighters. This one has a nice champagne finish that is versatile when paired with a variety of blush colors. I know this is one of Benefit’s best selling products and I’m really looking forward to seeing for myself just how much glow I can get! Next up in the March Sephora Play box of tricks is the GlamGlow Illuminating Moisturizer. Having used several of the GlamGlow face masks before, I’m already a fan of the brand but I’ve never tried any of their moisturizers before. This one is infused with illuminating pearl particles to create a blurring glow effect – which sounds very intriguing for the warmer months. It also comes in three color variations, so depending on your skintone you can find the right match for you. I’m a big fan of the Laura Mercier Caviar sticks and am exciting to see how Bobbi Brown’s variety measures up in comparison. Eyeshadow sticks are great products for quickly throwing on some eyeshadowing and dashing out the door. Even better, you can literally apply these on the go. On the train, at a red light, whatever. (Yes, they’re that simple to use.) The special travel size of this also makes me think I’ve met my latest handbag addition. A girl can never be too prepared and having a foolproof eyeshadow look on hand is never a bad thing. All-in-all, I’m pretty happy with all of the beauty products featured in the March Sephora Play Box. They’re all similar to the type of products I gravitate towards and will work perfectly alongside other favorites in my makeup collection. Did you receive the March Sephora Play Box? Let me know which items you’re more excited to test out! And if you’re not a subscriber yet, you can click here to learn more about the program and enroll. Stay stylish and keep chasing your dreams!